Flipkart Plus Subscription - Flipkart is now ready to compete with its e-commerce competitors to provide No Shipping Charge to their "Flipkart Plus Subscribers". That is now if you are having Flipkart Plus Subscription then you'll get Free Delivery on your orders. Like Amazon Prime Membership users are getting on Amazon. Apart from this, you can also get some free Gift Vouchers if are able to see Free Coins in your Existing Flipkart Accounts. In Flipkart First Subscription users will be able to get Free Delivery on their ordered products. Will also be able to get prior notifications of the major sale events. Plus using this "Flipkart Plus subscription" there will be No-Fee membership where users can also get Free Rewards like various Gift Vouchers etc. Flipkart Plus Subscription was officially going to launch on 15th August. But now you can use the below method to activate this Flipkart Plus on your Flipkart Account by using the below provided Flipkart App Version. That is not officially provided or updated on the play store. How To Get Free Flipkart Plus Subscription (Membership)? First of all Download this Version of Flipkart App DOWNLOAD. After this Login to your Flipkart Account. Now Click on the Menu Option or You can see Flipkart Explore Plus Option. In the next option, you'll see My Plus Coin Balance. Click on it and Check whether you've got 50 Coins for Flipkart Plus Subscription. If you have found the 50 Coins in your Flipkart account then you can easily activate Free Flipkart Plus Membership. Specific Users are getting Free 50 Coins in their Flipkart Account. How To Get Free Gift Vouchers Being a Flipkart Plus Member? After getting the Flipkart Plus Membership. 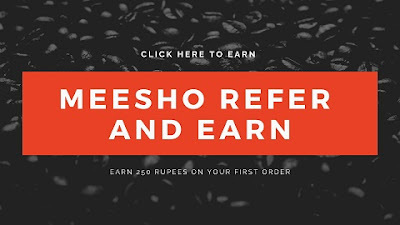 Now Shop for 250 Rs for 1 Coins and Earn 50 Coins. Now, After collecting 50 Coins, you can buy Various Gift Vouchers. Free Delivery - You'll get Free Delivery on 3+ crore products including both Flipkart Assured and Non-Assured Products. Fast Shipping - Plus Members will faster delivery on the selected products. Early Access - Plus Customers will get access a few hours earlier than normal consumers. Superior Customer Support - Plus Members will also get faster response time during the customer support. Exchange Coins For Offers - Plus Members can collect coins and then exchange it with various Gift Vouchers.